The beginning of spring marked a return to the negotiating table for actors fighting over the Western Sahara region. 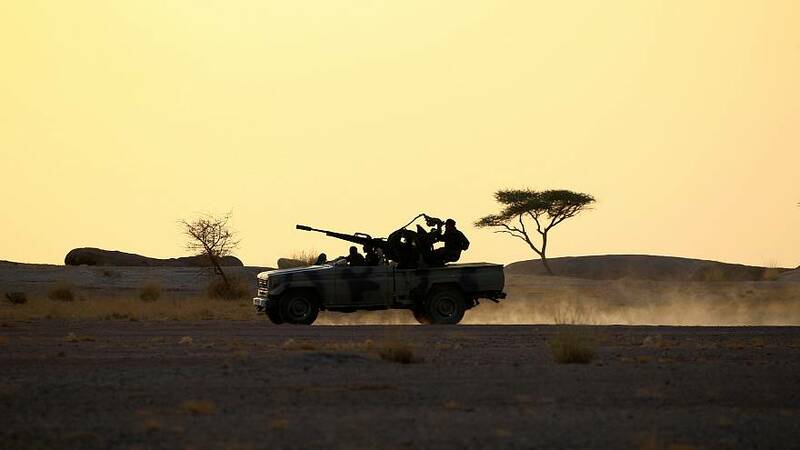 Morocco, the Algerian-backed Polisario Front, Algeria, and Mauritania convened on March 21 for a second round of talks mediated by the UN envoy to work over the contested Western Sahara, said a UN statement. The UN envoy Horst Koehler said that after the first round of talks in December (the first one in six years), all sides agreed to meet again in early 2019. “The (two-day) meeting will take place in accordance with UN Security Council resolution 2440 as a further step in the political process toward reaching a just, lasting, and mutually acceptable political solution, which will provide for the self-determination of the people of Western Sahara,” said the statement. What is the feud all about? In the past, Morocco has offered autonomy to Western Sahara, a region with rich fishing waters and phosphate deposits, which may also have oil and gas reserves. However, the Polisario Front— a Sahrawi rebel national liberation movement that aims to end the Moroccan presence in Western Sahara — rejects this and wants a referendum that offers the independence of Western Sahara as an option. But Rabat says the base for negotiations can only be as far as the contested region being an autonomous territory. "The Polisario Front will not change," Salmi Mohamed Gailani, a young Sahrawi in Spain, told Euronews, adding he doesn't think Rabat will change their position either. Morocco has been occupying Western Sahara since 1975 when Spain's army left the former colony. What happened when the Spanish left? According to the UN's protocol on decolonisation, Franco's Spain should've organised a referendum on self-determination, which never materialised. Spain left Western Sahara after signing the 1975 Madrid Accords — a treaty between Spain, Morocco, and Mauritania to end the Spanish presence in the Spanish Sahara territory, which included Western Sahara. By signing the accords, Spain renounced everything, even the organisation of the referendum. That same year, the International Court of Justice denied Morocco or Mauritania full territorial rights on Western Sahara on the request of the UN's National Assembly and confirmed the right to self-determination from the Sahrawi people. After the Madrid Accords, Morocco and Mauritania divided the Western Sahara territory between themselves, although the latter abandoned their part only a few years later. This started a war between Morocco and the Polisario Front and caused the flow of Sahrawi refugees to Algeria. A cease-fire between the warring parties was signed in 1991 but this did not stop violent clashes from happening. What can we expect from the UN-mediated negotiations? In the first round of discussions that took place in Geneva last December, the UN mediator proposed to agree on some kind of gesture to facilitate the talks. The Polisario Front asked Rabat for the liberation of political prisoners and the visit of human rights observers to Western Sahara. But the meetings ended without any concrete measures apart from promising to continue talks. But experts on the matter are not too hopeful about this second round of talks. Jesús Núñez Villaverde, an expert on Western Sahara from the Institute for Studies on Conflict and Humanitarian Action (IECAH) in Madrid told Euronews that the "only good news" from this second round of talks was that "it was taking place". "I do not believe that any result will be achieved that can be described as positive, although that depends on whether we look at it from the Moroccan perspective, which has time in its favour, or from the Saharawis, who have already been abandoned to their fate by all." The National Security Advisor for the United States, John Bolton, has expressed on various occasions frustration over the stagnation of the conflict and his support for a referendum. Fatma Mehdi, general secretary for the National Union of Saharawi women and one of the first Saharawi women to be present during the negotiations with Morocco, believes that the US' position on the issue has forced Morocco to change its discourse.